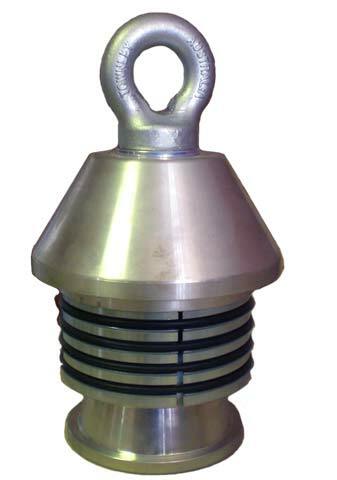 Towing Head is the most effective way to allow the safe towing of polymer pipes into position. This tool is now part of pipe manufacturers recommended practice. 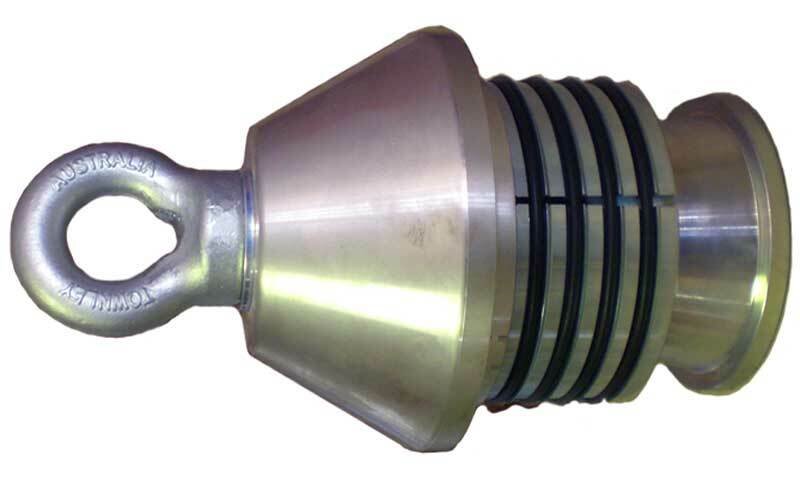 Each Towing Head has a series of four grippers connected to the eye-bolt via a tail cone. As the eye-bolt is tightened the tail is pulled toward the nose and the grippers expand.